Dual USB output + 1 wireless output. Charge 3 devices at the same time. 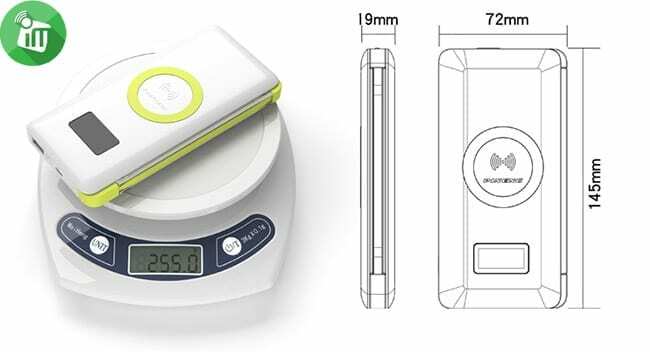 The power bank side light will turn to blinking blue color during charging and the Blue LED light will be static when the power bank is fully charged. 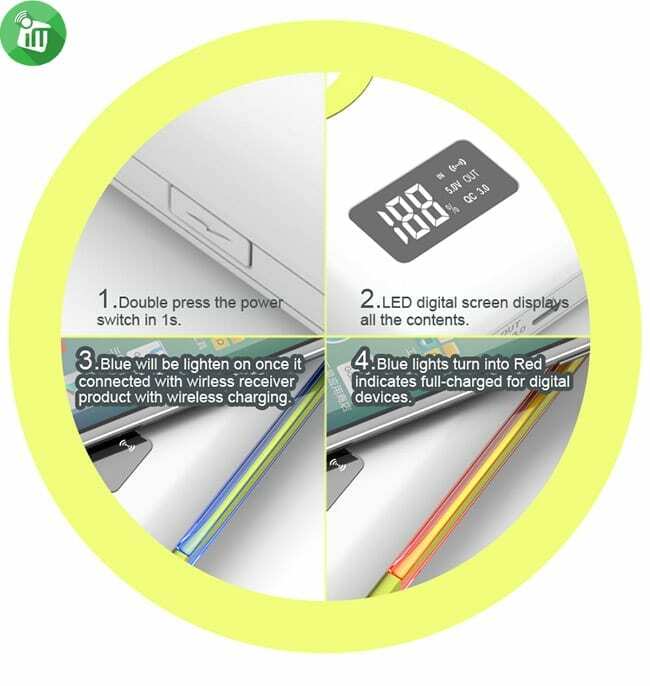 LED screen display (display battery percentage, in / out charging status). 1. 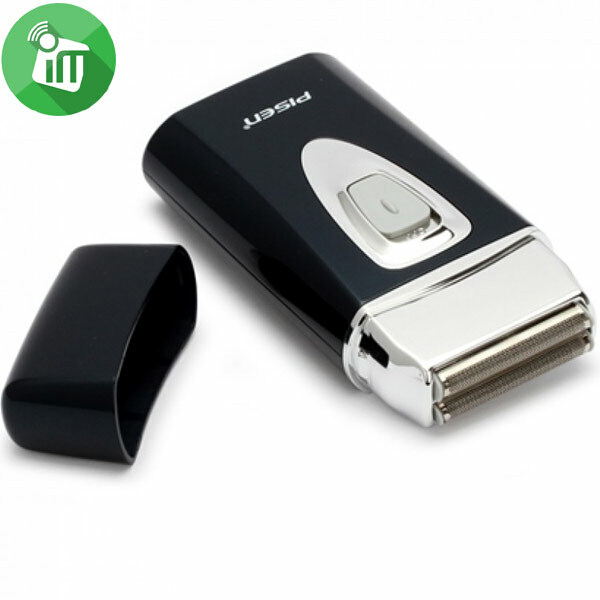 Dual USB output + 1 wireless output. Charge 3 devices at the same time. 3. 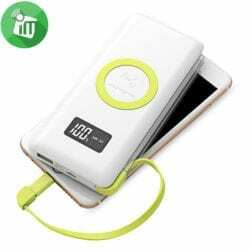 The power bank side light will turn to blinking blue color during charging and the Blue LED light will be static when the power bank is fully charged. 1. With 2 USB output. 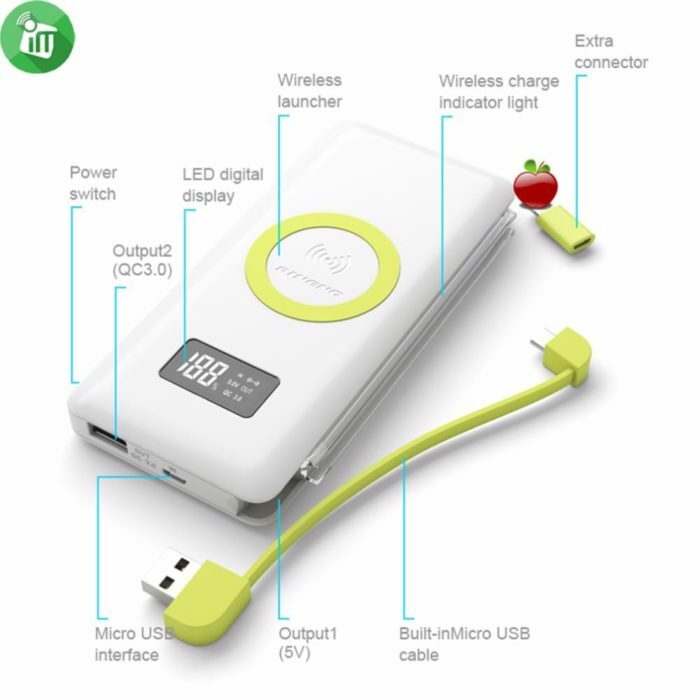 1 output is support Quick Charge 3.0 / 2.0. Other 1 output is support max 2.4A . 2. 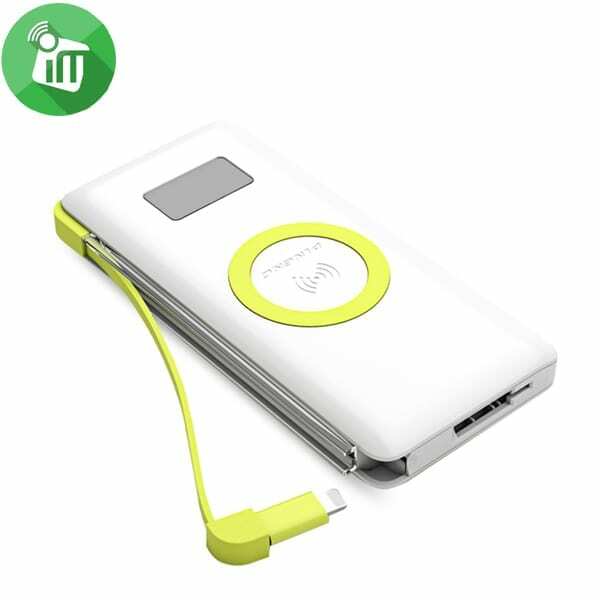 Both USB output are compatible for any device that support quick charge or none quick charge. 3. 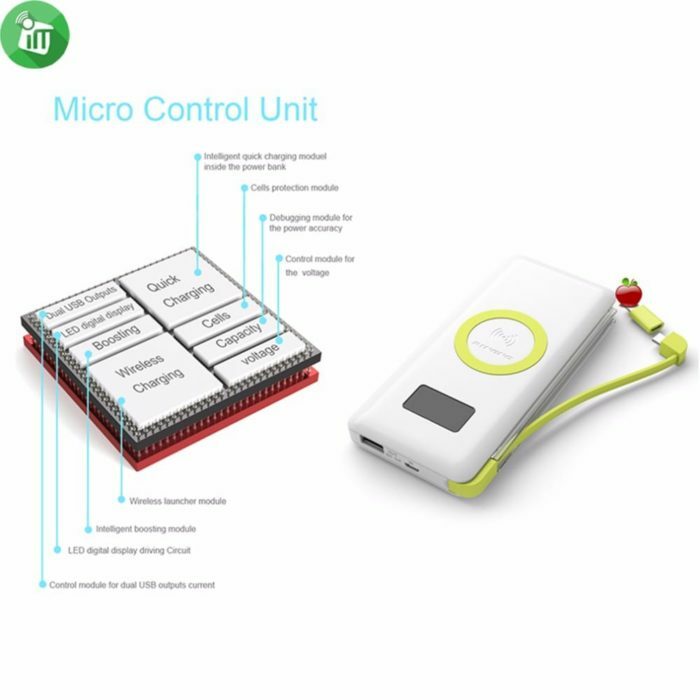 The micro usb input support Quick Charge 2.0. 4. 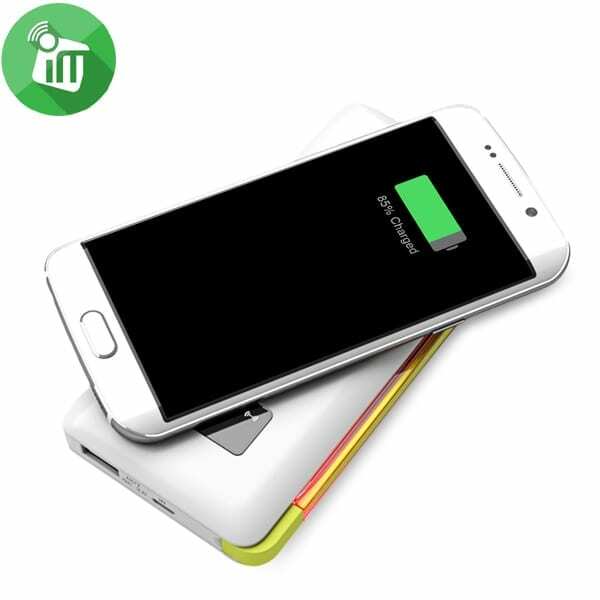 The power bank can be recharge by using quick charge 2.0 charger or normal 5V2A charger. 5. The wireless charging only compatible for the device that had Qi Wireless Charging function. 6. 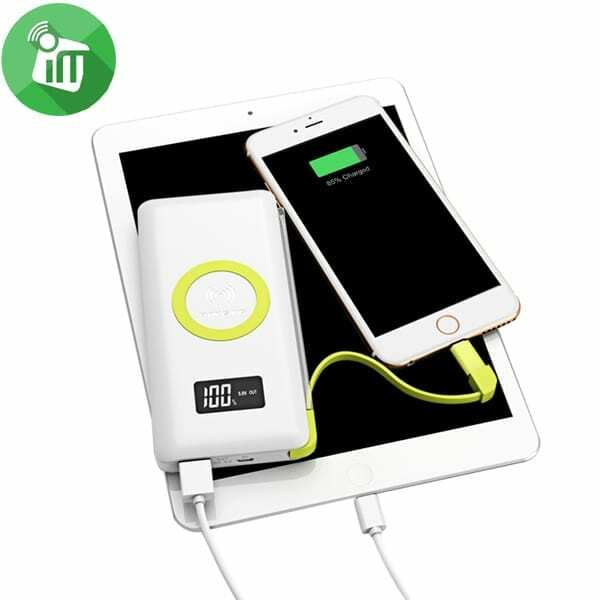 Wireless charge compatible for iPhone 8/X, Samsung S6/S7/S8/Note7/Note8 etc.